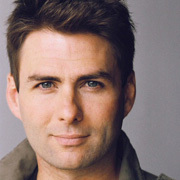 In the early 90s actor Kieren Hutchison was part of Shortland Street’s first generation, as Jonathan McKenna, the medical student who broke ground on Kiwi television as a gay character. Starring roles in locally made adaptations of William Tell and Swiss Family Robinson were a springboard to his move to Los Angeles in 2004. Hutchison scored recurring roles in the second seasons of One Tree Hill (as professor Andy Hargrove) and Wildfire, plus guest roles in Charmed, Grimm and Castle. In 2009 he starred as the love interest in Hallmark cable TV movie Flower Girl. He married US actor Nicole Tubiola in 2003.